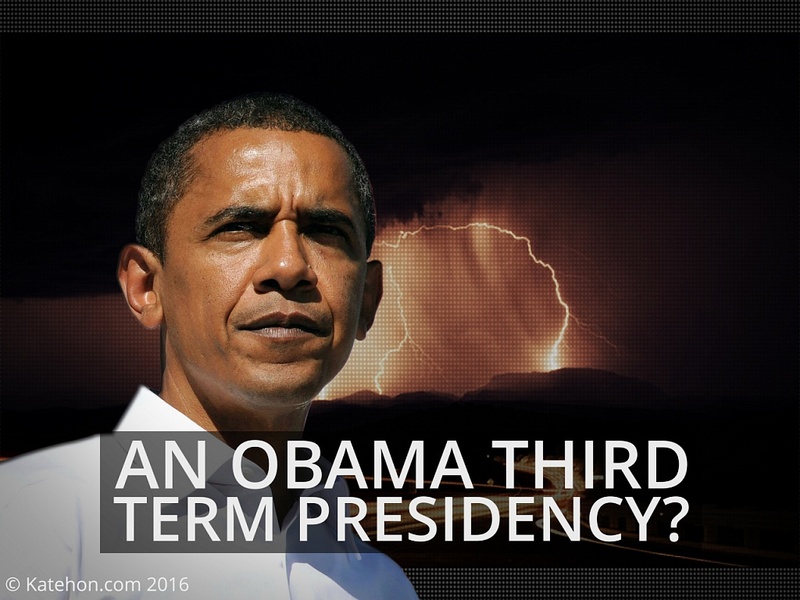 Home » An Obama Third Term Presidency? Lately, there has been a generated interest (both here in the US as well as abroad) as to the legal basis for a possible Obama third-term presidency in case of an imminent war in the form of another 9/ 11 terroristic style attack, albeit not as extensive, that would grant a temporary suspension in the November presidential elections. Some sources for such extrapolations are right wing elements within the US intelligentsia apparatus. While others are independent sources and intelligent insiders. There are also many foreign intelligentsia insiders with the same keen interest in this topic - all relatively reliable with an obvious twist of conspiracy mindfulness. As such, the truth becomes even harder to decipher amidst all these rumors and innuendos, false alarms and quite possibly real alarms. It's hard to accurately forecast who will be installed (never elected) into the White House in November. What is crystal clear is the fact that it is now quite obvious to everyone that Wall Street [as well as PNAC conspirators] desire a continuation of the Obama regime via the Hillary Clinton "candidacy", because to them, she is the safer option, as in, more predictable, more manageable, more controllable. Wall Street is compulsively obsessed with predictability and loathes the opposite although the fiasco that they created which resulted in the 2008 economic near-collapse may hint otherwise. It is not. Make no mistake. On the other hand, the usual utter stupidity, profound prejudices, and the basic overall ignorance of the 30 and sometimes up to 51% of the American electorate can never, ever be under-estimated, especially when the fear element & nefarious tactics such as false flag operations are repeatedly being used, as we are all witnessing, in this post 9/11 world. These evil tactics have not only been quite apparent throughout human history, but we have seen an unprecedented concentration of their usage ever since the 9/11 staged events which was a pre-conceived recipe for the sustainability of the first Bush term (2000-2004) and then his "re-election" term, 2004-2008. 1) The sinking of Lusitania in 1915 as a prelude for Washington's entry in WWI. 2) Hitler's burning of the German Reichstag in 1933 in order to blame [and eliminate] his political opponents on the left, once and for all, during the 12 years duration of the Third Reich. 3) The Japanese attack on Pearl Harbor in 1941 that were used as a pretext for Washington's entry into WWII which many analysts at the time were ferociously forewarning to the deaf ears of the FDR's administration. 4) The Gulf of Tonkin "Incident" which was used as a pretext for Washington's war in Vietnam. 5) The 9/11 attacks which have intentionally lead into a seemingly never-ending action-reaction loop-hole cycle to justify Washington's so-called "War on Terror" which in actuality is a war OF terror. All this in order to create havoc in an already tinder box chaotic part of the world we call the Middle East - for fossil fuel as well as for ideological and by that I mean eschatological purposes. All these events, especially the latter, had a crafty, well-designed, cumulative, calculative, pre-planned, intended consequence of falsely manufacturing the American people's consent by more-or-less hypnotizing them into otherwise false and misperceived fears. But back to the earlier point in regards to a possible Obama coup d’état in the context of a Trump verses Clinton so-called race, all these fear factors, in combination with the 2008 economic collapse which has never really gone away (except for the top 1% at the expense of the 99%), along with expensive and idiotically adventurist wars of the 2000 decade, not just in the Middle East, but at the doorsteps of Russia [via Ukraine] have all created an albeit already existing profound dislike [and distrust] for Hillary Clinton (because she was very much involved in the wrong decision makings, be it the 2003 invasion and occupation of Iraq all the way down to the overthrow of Muamar Kaddafi in 2011 and the subsequent inside job assassination of Ambassador Stevens in that whole mess called Benghazi. Hillary Clinton's involvement in all these events, and whatsmore her suspicious and evasive behavior and intentional lack of transparency, i.e. the deletion of thousands of emails via her personal computer server at home during her direct and first-hand Libya regime change activities, all these factors along with her usual arrogant and combative behavior have contributed [and exacerbated] a deep dislike and distrust of a rather large segment of the American electorate - Democrats and Republicans alike, hence the Bernie Sanders phenomenon, albeit unfortunately now in its final stage. All this has [and still is] fueling Donald Trump's campaign, and up to now actually giving this otherwise reality show clown a political platform that has devolved him (of course by his own vanity and design but on a much grander playing field) into a toxic and dangerous political demagogue. All this leads us to the earlier right-wing speculations of a possible [but in my opinion unlikely] continuation of the Obama regime, if the power structures in Wall Street (and in Washington) feel threatened by what could seem like an imminent Trump takeover, if that be the case in the next few months to come. These groups of analysts argue that the Washingtonian Neo-con/ Neo-lib cabal could manufacture another 9/11 style false flag operation, albeit nothing as extensive as 9/11, in order to sustain the Obama regime under the disguise of a "national emergency". They further extrapolate that the broad American perceptions, sentiments, and fears have already been [and still are] being swayed, shaped, and massaged into accepting this possible scenario through a series of all these false flag, inside job operations starting with 9/11 itself down to UK's 7/7/05 event, and all the way down to the creation and ongoing savagery of ISIS agents in Paris, San Bernardino, Brussels, and now this horrible deed in Orlando, Florida. Although many argue that this is an unlikely scenario, it is one worth exploring not just in this presidential cycle but in the next ones to follow, especially in spite of the highly volatile and unpredictable world conditions that we are currently living in - one in which Washington's and NATO's desperate acts of aggression is becoming more and more apparent as well as transparent to everyone with a clear and sober mind with relative sanity.